Manesty Holiday Cottages017687 77216work017687 77384fax Self-cateringWelcome to Manesty Holiday Cottages, the ideal base for your Lake District self catering holiday. If you are visiting Borrowdale for the first time, you’re in for a treat amongst some of England’s most spectacular scenery: walk the lake shores, valleys and high fells; tour picturesque villages and fascinating places; cycle, row, birdwatch, fish, climb; or simply unwind in rural tranquility. Our cottages, 1 to 4 bedrooms in size, are converted from the original farmstead buildings and constructed in the traditional Lakeland style. They are comfortably furnished and well equipped: facilities include satellite TV, DVD players, free wireless broadband internet and an outdoor, all natural, woodfired hot tub which can be booked by the day. A luxury 1 bedroomed cottage, Cocklety How Byre, which is available Mon - Fri and Fri - Mon all year round. A studio apartment for short breaks all year round. A holiday caravan for the ‘close to nature’ experience. As a family business, we are proud to offer excellent value and our guests’ comfort is our priority. In the interests of our customers we have a no smoking indoors policy and do not take pets. Manesty Holiday Cottages offers weekly bookings starting on any day and sometimes short breaks. Beautiful accommodation, very clean and everything in great condition, kitchen well stock with useful items, home from home, will definitely stay again. Owner very friendly and welcoming. Thank you, Tracy and friends, for choosing Manesty for your stay and for leaving Cocklety How Stable Loft so very nicely clean and tidy. We hope to see you all again. 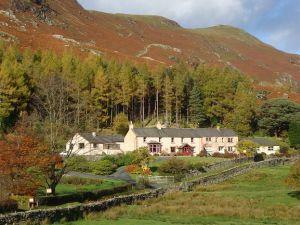 Welcome to Manesty Holiday Cottages, the ideal base for your Lake District self catering holiday. If you are visiting Borrowdale for the first time, you’re in for a treat amongst some of England’s most spectacular scenery: walk the lake shores, valleys and high fells; tour picturesque villages and fascinating places; cycle, row, birdwatch, fish, climb; or simply unwind in rural tranquility. 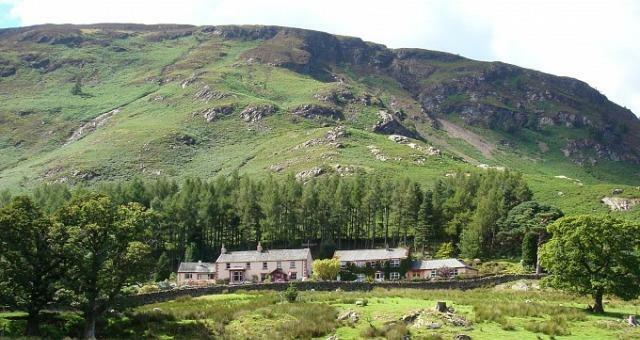 Situated in the beautiful valley of Borrowdale, just five miles from Keswick, Manesty Holiday Cottages is in the heart of the Lake District. The elevated situation gives magnificent views across Borrowdale, and the extensive well kept grounds are attractive all year round. Less than a mile from the shores of Derwentwater, Manesty is one of the most peaceful corners of Borrowdale. The picturesque village of Grange is 3/4 mile away. Manesty has been in the Leyland family for six generations, so we are a mine of local knowledge. Our ‘walks from the door’ are just one example of how we can help you make the most of your Lake District self catering holiday. We look forward to welcoming you. Walks from the door to fells, lake shore, woodlands and riverside. Wood fired hot tub. Wireless internet. Children welcome from any age. Leave M6 jct 40 and follow A66 to Keswick. From Keswick follow B5289, signposted Borrowdale, for 4 miles then turn right over Grange Bridge, signposted Grange & Newlands. Continue for 0.75 mile. Manesty is on the left.